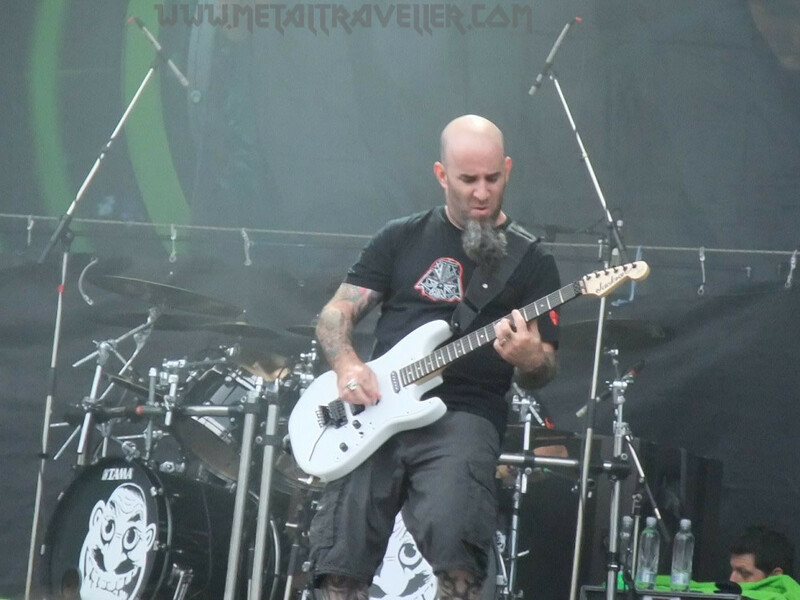 Anthrax was the first band to play at the Sonisphere Tuborg Green Fest. 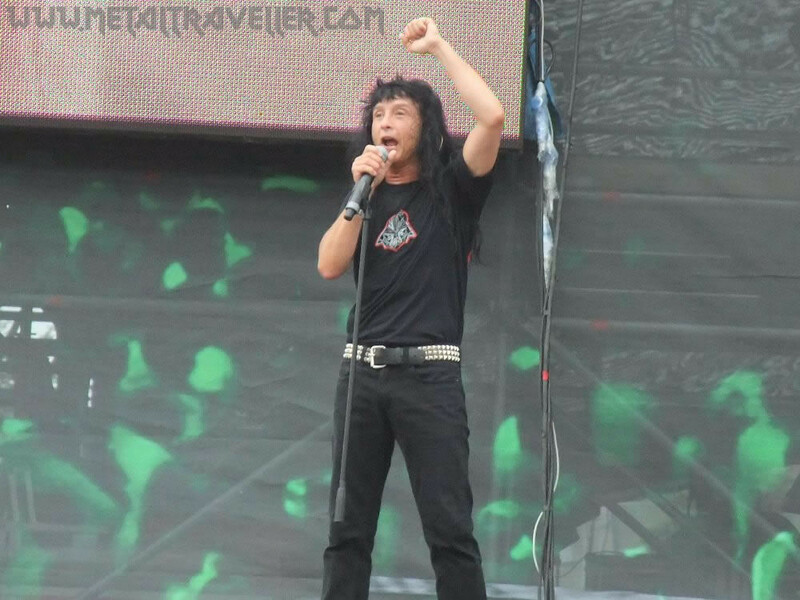 After many singer changes over the last few years (John Bush to Joey Belladonna to Dan Nelson to John Bush…) Joey Belladonna was back for the Big Four shows. 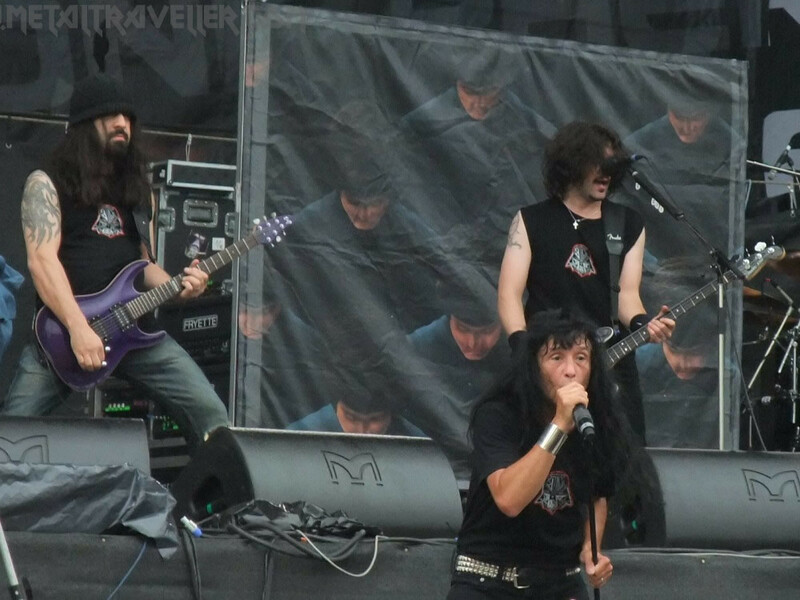 It seems to me that Joey Belladonna is back in Anthrax for good. He even talked about a new album coming soon. I hope this is for real, as Anthrax has had too many singer changes recently, and that has compromised the release of new records. Anthrax couldn’t use the whole light show, but this didn’t prevent them to do a very good show. They had a backdrop with the cover of the Among The Living album. They had an excellent sound, and they played the classics everyone wanted to hear. At some festivals they played the song Only, recorded with John Bush on The Sound Of White Noise album. They didn’t play it here, but it’s good to know that they’re adapting some Bush-era tunes. 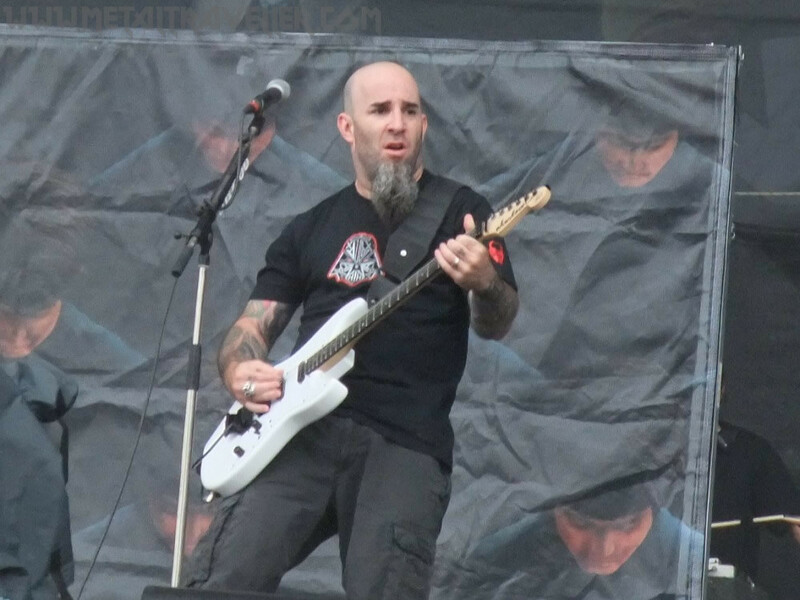 Anthrax did a lot of great songs with him and… don’t forget that John Bush has been Anthrax singer for a longer time than Joey Belladonna! As you know, one of heavy metal’s most impressive voices passes earlier this year: Ronnie James Dio. 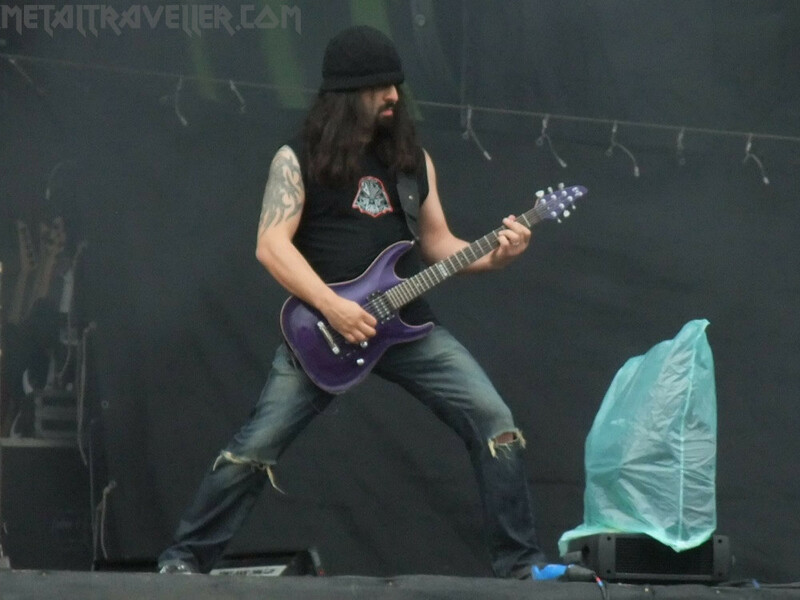 He was supposed to play at the Sonisphere Big Four shows with his band Heaven & Hell (Black Sabbath). 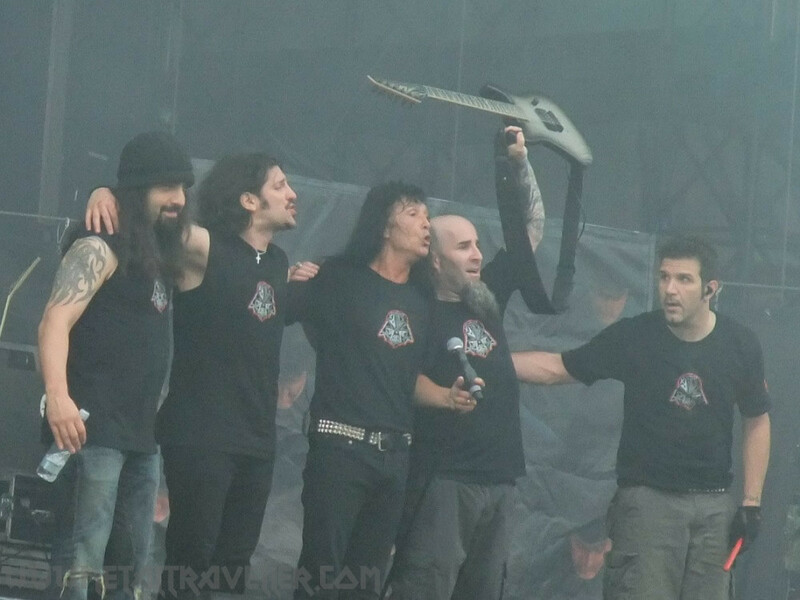 Anthrax did a tribute to Ronnie Dio as they played the first verse and the chorus of the song Heaven & Hell. 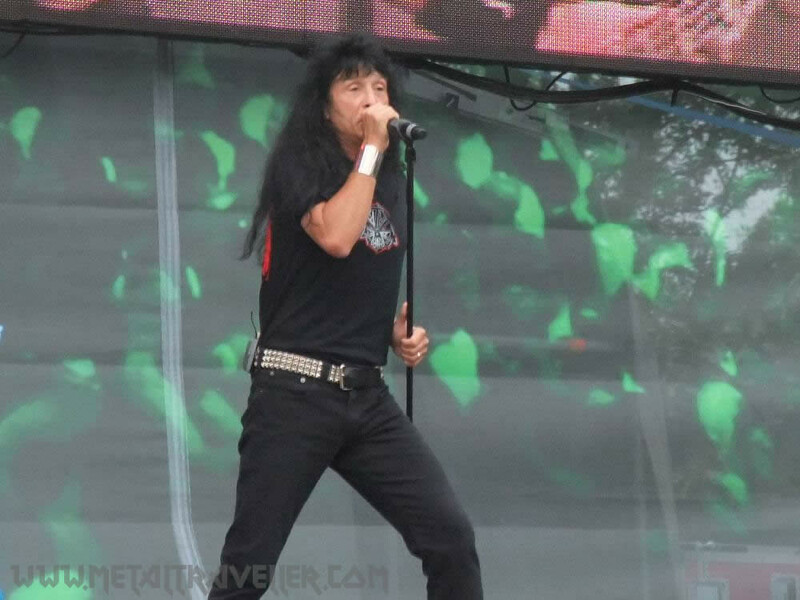 Also, Joey Belladonna screamed twice during the show “I’m the Man On The Solver Mountain”. 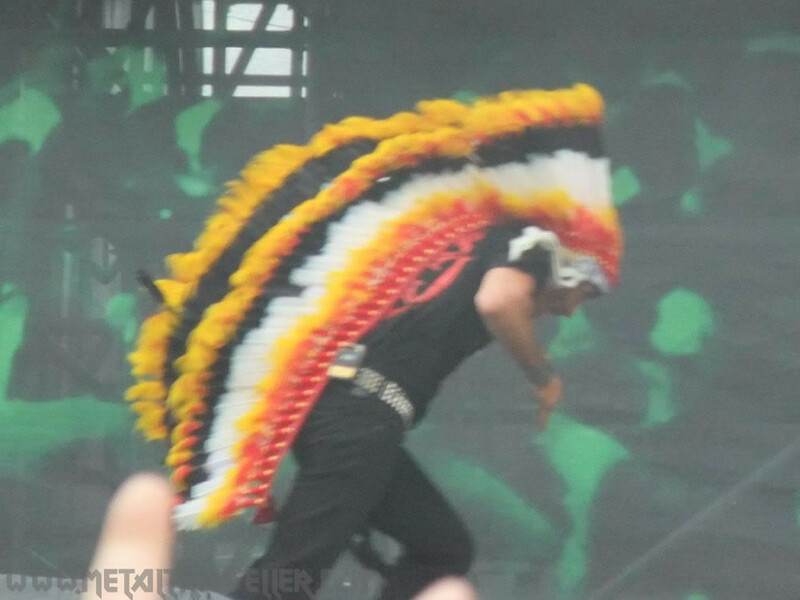 During Indians, Joey also wore his Indian feather crown, just like in the 80’s. It felt like a short trip back in time. Great versions of Metal Thrashing Mad and I am The Low concluded the show. 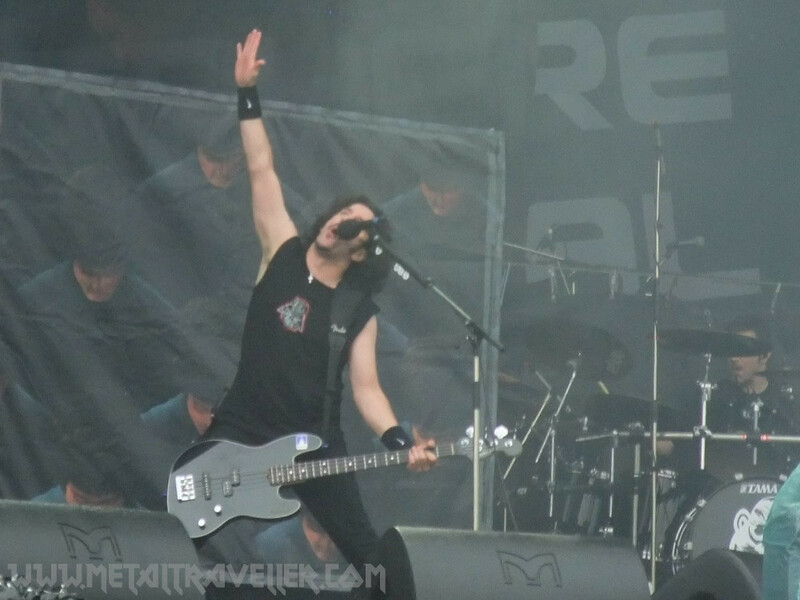 It’s good to see that Anthrax is back! I really hope that they’ll record a new album and to see them back on the road again for some headlining shows.